Mobile Hotspot Technology, MiFi Is The Best Mobile Broadband Device! Mobile Hotspot - MiFi Is The Best Of Both Worlds! A mobile hotspot is the common name for a MiFi device. With a Mi-Fi hotspot you can connect any Wi-Fi enabled device to a mobile broadband (i.e. cellular) modem, instead of using a legacy PC Card or USB modem. If you haven't yet read the previous page, follow the link to MiFi (at the bottom of the page) to learn more about this technology and how it works. Or continue reading below to learn more about this great technology! In my opinion, MiFi is the best of the Wi-Fi and mobile broadband worlds converged! You and a small handful of friends or colleagues can access the device using Wi-Fi, which is high speed, reliable, and secure. You also don't have to worry about damaging a USB modem sticking out of your laptop (even the super small ones still stick out and are fairly fragile). On top of that, you get the convenience of mobile broadband with broadband technology that you can take anywhere, and you don't have to worry about installing drivers like you do with other broadband modems. So what's the downside of a MiFi modem? The MiFi device itself is usually more expensive than a standard USB modem. That said, this has changed dramatically in recent years, and is generally very competitively priced due to its popularity. The device is a larger than a normal mobile broadband modem. I think when you see it, though, you'll be impressed with how compact it really is. You have to manage yet another device with a battery. This is probably the single annoyance that I find with it. The battery lasts between upwards of 4-5 hours, which really isn't bad, however, now not only do you have to think about plugging in your laptop, smartphone, and tablet, but you also have to keep your mobile hotspot charged. It can be plugged into your PC, however, many models lose their WiFi capability once plugged in via USB. Some providers have removed this limitation, and the settings can be "hacked" to address this problem on your own. Where do I get it! 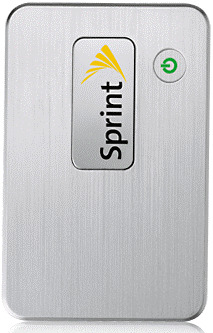 When I first added this topic to the site, only Sprint and Verizon offered MiFi service (and not prepaid). However, within a couple of years thereafter these devices literally exploded across virtually every carrier, including prepaid wireless providers. You can now find so many options listed on the Best MiFi Plans page that it will boggle your mind! I'm truly thrilled that this technology evolved into prepaid so quickly, providing customers with many great options! Actually, the future is already here! MiFi devices have become so popular that you can now find them in many different flavors across virtually every carrier. Even smaller MVNOs offer prepaid hotspots, though they are often older models, and some don't offer backwards compatibility. In other words, they offer 4G, however, when you're out of coverage, they're not compatible with older 3G networks, which results in critical access issues. Of course, this limitation is eliminated as 4G becomes truly ubiquitous. You can even find prepaid providers offering FREE plan, which I've also included at the following link! MiFi mobile hotspots are a fantastic technology development that is basically taking over USB modems. They're compact, convenient, and easy to use! In fact, I truly don't understand why anyone would buy a USB modem. MiFi modems allow you to connect multiple devices, and don't require the installation of any drivers, which can often lead to setup nightmares. Other than having to think about charging a hotspot, there really isn't any point to a USB only modem. I believe that the next best evolution would be a USB modem that is also a hotspot. This would be a different form factor, as it would not have a battery, but rather would be powered from your USB port like today's USB modems. I suppose only time will tell. To learn about how to turn your smartphone into a WiFi hotspot, visit the Tethering page.